"Located 42 kilometers away from Jaipur, off the Jaipur-Agra highway, Fort Madhopur is a royal and formidable structure, built by Madho Singh Ji, nearly 400 years ago. 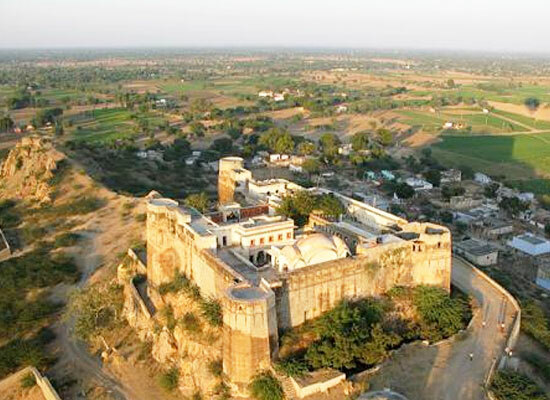 The fort was then renovated and converted into a swanky heritage hotel by Thakur Bhawani Singh ji in the year 2000. 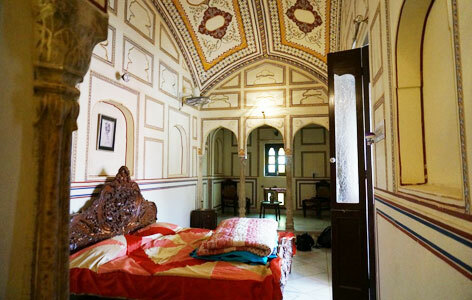 Fort Madhopur is an excellent budget property where visitors can enjoy royal experience of luxury and comfort, right in the midst of Rajasthan's pink city, Jaipur. Grand facility and exceptional service sets Fort Madhopur apart. The hotel affords a wonderful opportunity for travelers to enjoy amazing luxury and a cozy accommodation well within their budget. Spacious rooms, serene ambience, exquisite and delectable food, modern day amenities, high standard service and prompt and friendly staff make Fort Madhopur a favorite spot for travelers touring the capital of Rajasthan. 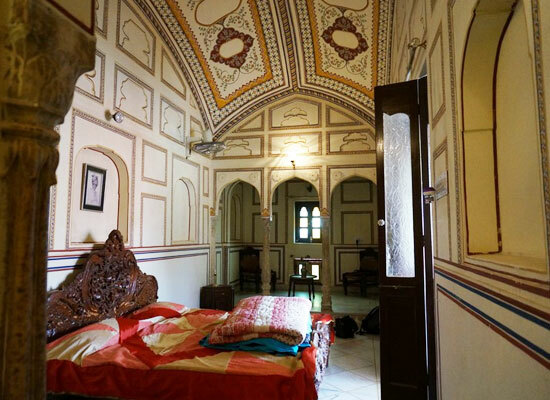 A former battle site of the Kachhawaha Rajputs, Fort Madhogarh has now been converted into a heritage hotel by the Present owner, Thakur Bhawani Singh. The heritage hotel run by the family now offers a chance to guests to experience the famous Rajput hospitality. 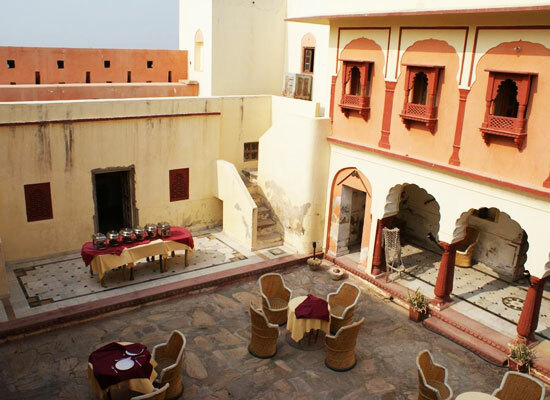 This heritage hotel in Rajasthan has 13 well-appointed rooms that are classified as Standard Rooms and Suites. Each room is air-consitioned and offers all modern amenities such as attached bath, running hot and cold water, 24 hour room service and more. Dining at the Fort Madhogarh Heritage Hotel is an enjoyable experience as guests can feast on Continental, North Indian and Chinese cuisine. The hotel also offers an array of mouth-watering sweets and desserts. Jaipur, the capital city of Rajasthan is a popular haunt for tourists. Also known as the 'pink city', Jaipur is famous for its breathtaking architectural delights, colorful apparel, jewelry, artifacts and lip smacking cuisine.